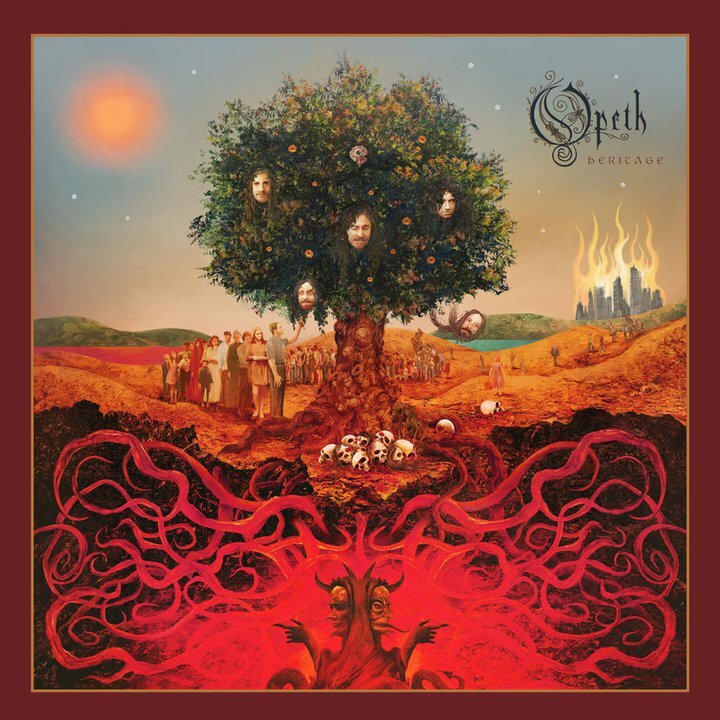 Opeth album art. Yay or Nay? So, unless you’ve been living under a rock you’ll know that Opeth recently set Heritage as the title of their new album and it’s due for a September release. The band has also released the album art work now which can be seen below. What do think? Unlike previous Opeth album covers, this isn’t darkly coloured or themed, something which would indicate the darkness of the music on the record. It is detailed though but the strangest element is the faces of the band members adorning the tree. Everything else is beautifully drawn and etched but the silliness of their faces in the tree distracts from that.